Size 5 to 7 mm. 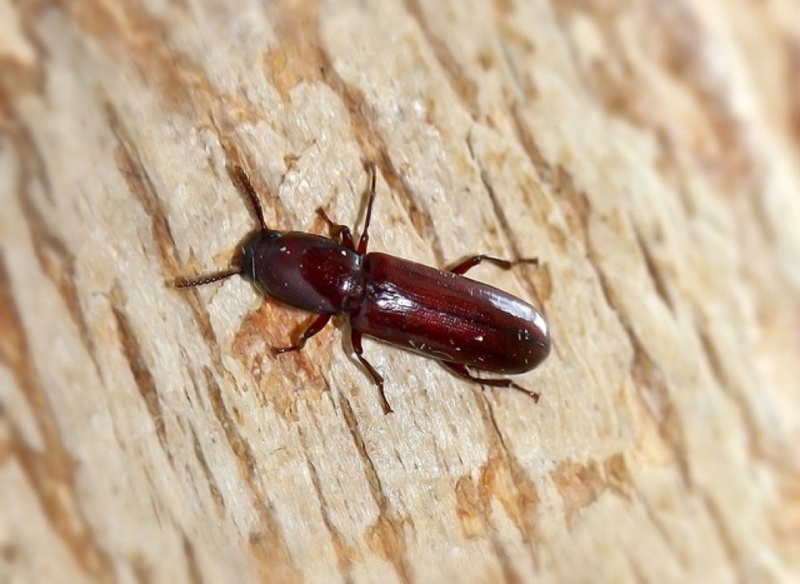 A deep red darkling beetle with finely punctate elytra and a blackish head. The pronotum is longer than it is broad. Underneath young bracket fungus and behind bark. Often found at night by torchlight. Rare in Leicestershire and Rutland - the Cloud Wood specimen of 23/04/2012 is possibly the first VC55 record.